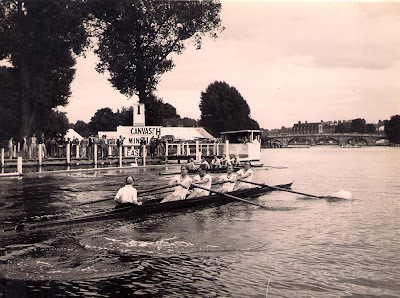 1937 NARA Championships at Henley? At Henley yes, but an ARA regatta or an NARA regatta? This is Henley. The bridge on the right and the Leander clubhouse peeking over the boat tents are quite identifiable. As Clapton Warwick (1877) and (presumably) Nottingham Britannia Rowing Club (1869) were tradesmen’s clubs I think the regatta must be Henley Town and Visitors’. This was the ‘Henley’ for men who worked with their hands and so were not (until 1938) classed by the Amateur Rowing Association as amateurs. Henley T and V is still going today and their website gives a brief history and some videos of recent regattas. 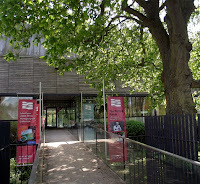 The River and Rowing Museum has nearly 500 local photographs taken by the photographer George Bushell on their website. 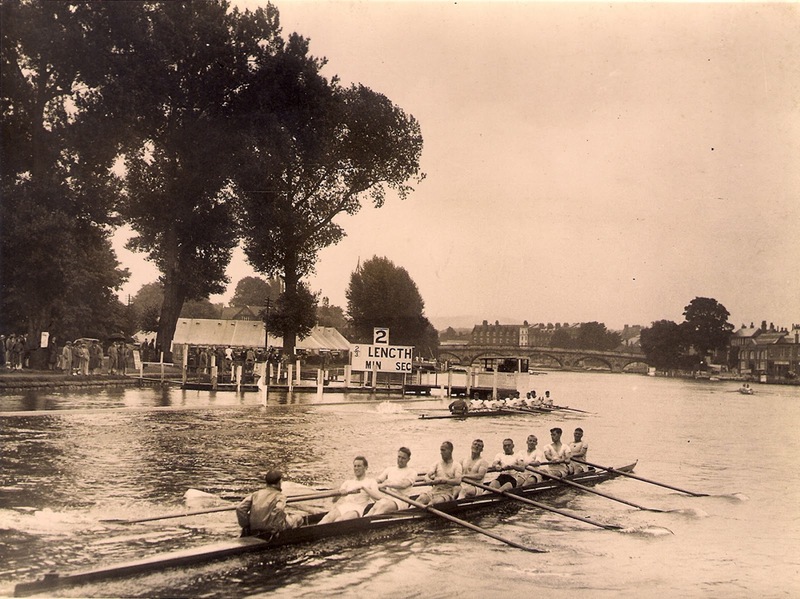 I agree with Tim Koch when he says that the Clapton Warwick photo on HTBS was taken at Henley, but I don’t think it’s Henley Town & Visitors Regatta. Henley Town & Visitors Regatta was an ARA regatta not an NARA regatta. For example, in 1937 (the last year before ARA clubs were allowed to race at NARA regattas and vice versa) the finals at Henley Town & Visitors Regatta included crews from clubs such as Thames, Maidenhead, Reading and Marlow – all of which were ARA clubs. I suspect the photo was taken at the NARA Championships, which for some years in the 1930s was held at Henley a week after the Royal Regatta. The HRR Stewards used to leave the booms in place for the NARA Championships. You can see the booms in the photo. The Times reported about the 1937 NARA Championships. In that piece it says that Clapton Warwick lost in the final of senior fours. Britannia RC were, like Clapton Warwick, based on the River Lea, which is a tributary of the Thames in east London. Clapton Warwick RC merged with another Lea club, Gladstone RC, in 1958 to form Gladstone Warwick RC. In 1980, several Lea clubs, including Britannia RC and Gladstone Warwick RC, merged to become Lea RC, which still exists. Many thanks to both Malcolm and Tim! 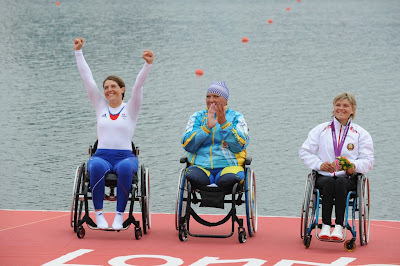 Nathalie Benoit, French silver medallist at the London Paralympics. All photographs © by Didier Echelard. Nathalie Benoit was born in 1980 in Aix-en-Provence in South France and is a teacher at CNED (French National Distance Learning Centre) in Marseilles. She started rowing in 2008 at the Cercle de l’Aviron de Marseilles. Two months after she won her silver medal at the London Paralympics, she gives her impressions on the event and shares with HTBS readers what is her new goal. 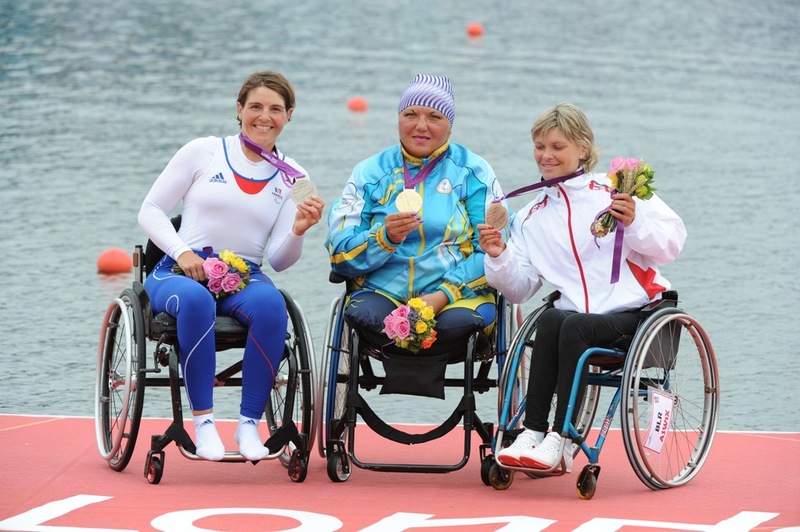 Nathalie has multiple sclerosis and is a para-rowing World Champion of the arms and shoulders single sculls category. Why did you choose to practice rowing? I chose this sport for the beauty of the movement, the physical side and also because it’s an outdoor sport which involves gliding on the water. What are the values associated to the sport, according to you? It involves surpassing oneself, a taste for pushing oneself, perseverance, respect of the opponent, respect of the environment, solidarity - for long boats. When did you decide to take part in the London event? I started thinking about it after my world title in 2010, in Karapiro, New Zealand. What qualities are needed to make a good performance? Perseverance is the first quality. You need to train a lot, of course, but that will make the difference. What led you to success in London? For months, I had done the race in my head. It helped me to get the medal. On the final day, this was exactly as I had imagined it. The crowd’s enthusiasm and the presence of my family and close relations helped me a lot, too. Aeolus must love this lake. It’s very windy. That was the case the week previous to the competition. The day before the first race, the lake was closed in the afternoon because you could not row. The day after, the wind stopped blowing and we got good conditions during the three days of competition. What do the silver medal and the reception at the Elysée Palace [the residence of the French president] evoke? The medal is the outcome of a four-year training period. It’s a beautiful reward for the work that has been done. The reception is the recognition by the State. 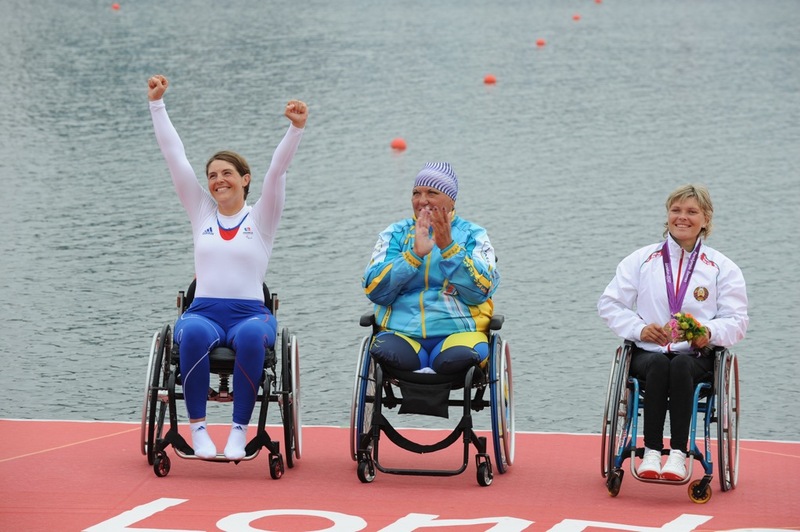 This year, Olympic and Paralympic champions were invited at the same time and this is a strong signal which might change the way people look on disability. What are the four dates that have marked your rowing career? They are my four podiums. I have felt very different emotions at every single event. In 2009, that was my first title as vice World champion (in Poznan, Poland), it was a discovery. Moreover, it was the first world medal for para-rowing. In 2010 (Karapiro, New Zealand), it was an intense emotion to hear the national anthem and see the French flag raised above the others. In 2011 (Bled, Slovenia), I felt the joy of being qualified for the London Games, but also the deception of being on the brink of beating the Ukrainian Alla Lysenko, who is unbeaten to this day [Lysenko finished about 10 seconds ahead of Nathalie with a time of 5:29.99, the fastest time in Paralympic Games]. Finally, in 2012, it was an indescribable joy together with a feeling of relief. 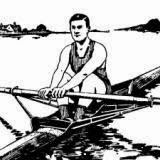 My next goal is not to row fast, but to row for a long time. I would like to row from Paris to Marseilles. For the time being, we evaluate the feasibility of this project. You will find more information on Nathalie's blog. This year's umpire Sophie Hosking (2008 and 2009 Wingfields Champion, 2012 Olympic Gold Medalist, W Lwt 2x) racing in the 2010 Wingfields. The Wingfield Sculls is a single sculling race run over the Putney to Mortlake course on the Thames in London. 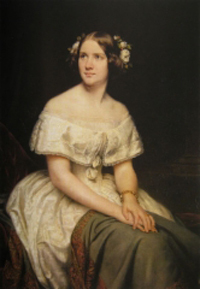 It was first held in 1830 and the women’s race was added in 2007. At various times it has included the titles of ‘Championship of the Thames’ and the ‘British (or English) Amateur Sculling Championship’. Wingfield Sculls. Part of the men's trophy. 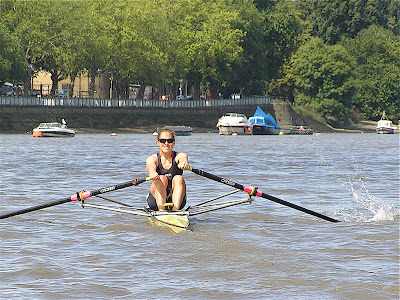 Thursday, 1st November will see two races of Internationals challenging for the title ‘Champion of the Thames’. 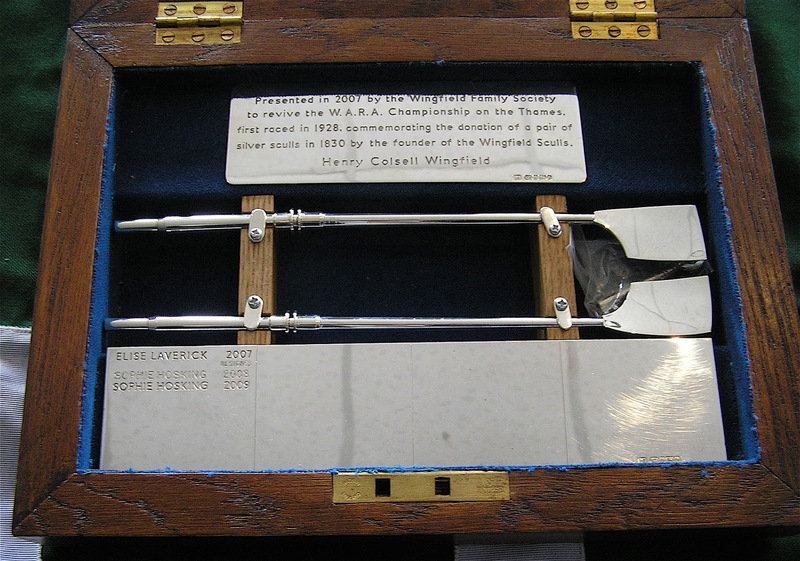 This is the 172nd race for the pair of silver sculls presented by Henry C. Wingfield ‘to be held by the best’ as long as they agreed to race on his birthday, 10th August, ‘for ever’. The events are organised by a committee consisting of former winners (‘Champions’), who each meet each year to arrange the races and appoint an umpire from among their ranks. 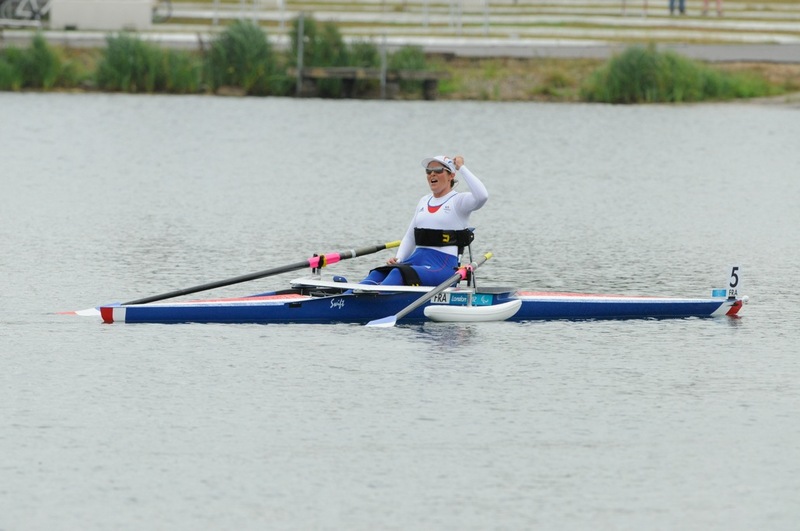 The 2012 Olympic Regatta saw several former Wingfields Champions win medals. 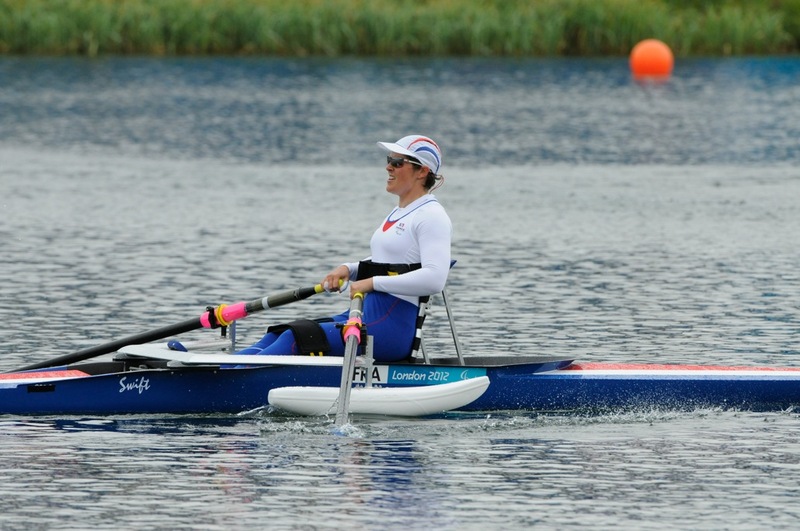 There was Gold for Sophie Hosking in the Women’s Lightweight Double, for Anna Watkins in the Women’s Heavyweight Double and Mahe Drysdale in the Single. Bronze medals went to Greg Searle in the Eight and Alan Campbell in the Single. The Women’s Race starts at 12:30 and will be between Imogen Walsh (London RC), Debbie Flood (Leander), Beth Rodford (Gloucester) and Jess Eddie (University of London). Debbie and Beth were in the Quad that came fifth in the Olympics and Jess was fifth in the Olympic Eight. Imogen will be the only new competitor in the race, she won Gold in the Lightweight Quad at the 2011 World Championships. From the Wingfield Sculls archive. 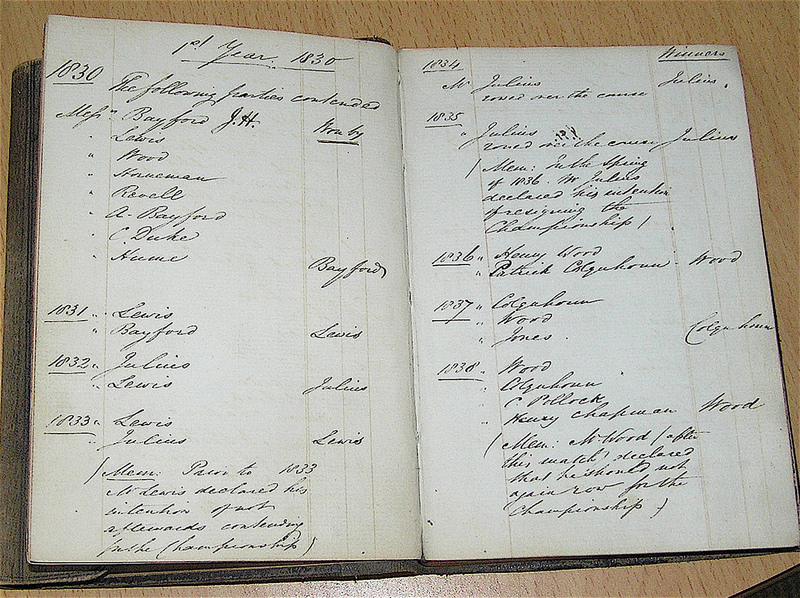 The record of the first eight races. The Men’s Race starts at 1:30 and sees the exciting meeting of last year’s winner (and course record holder) and the current Olympic Gold and Bronze medalists. Put another way, it is the meeting of the 88th Champion, the 87th Champion and the 86th Champion. Lightweight Adam Freeman-Pask will be defending his title against Olympic sculls winner Mahe Drysdale and London third placed sculler, Alan Campbell. Mahe was Wingfields Champion in 2007 and 2008 and Alan won in 2006, 2009 and 2010. In Alan’s 2009 victory he beat his great rival, friend and clubmate, Mahe, the only time they have raced each other over the Putney to Mortlake course. 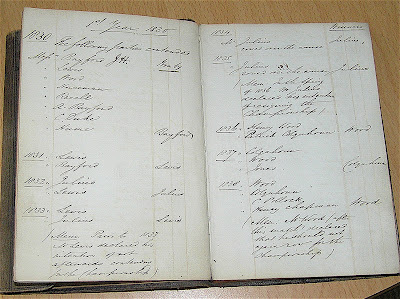 ... Henry C. Wingfield... in 1830 presented a prize for a race ‘between gentlemen’ on condition that it was rowed at half flood from Westminster to Putney against all challengers annually on the 10th day of August. Like Thomas Doggett he blandly added the words ‘for ever’... The race is now rowed over a different course, and on any day which is decided upon by the committee, not even necessarily at half flood. But Mr. Wingfield achieved immortality in one respect. The race has gone on a great deal longer than he had any justifiable reason to expect. The HTBS video of last year’s race is here. The Swedish sculler Lassi Karonen, who was No. 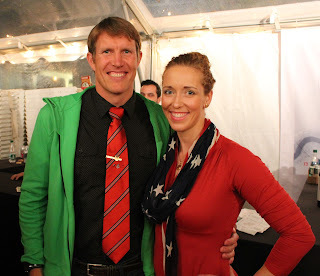 1 on Megan Kalmoe's list last year, came in second this year, but didn't look that unhappy when Megan met him in Boston. Photo from Megan Kalmoe's website. Here it is, Megan Kalmoe's list of the Top 20 Hottest Male Rowing Athletes of 2012. Find out who made the list here. 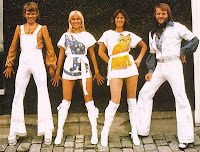 I received an e-mail yesterday from Australian rowing historian Louis Petrin, who had nailed all the answers, including Herr Nilsson, and for that he gets an extra point. Well done, Louis, I am very impressed! 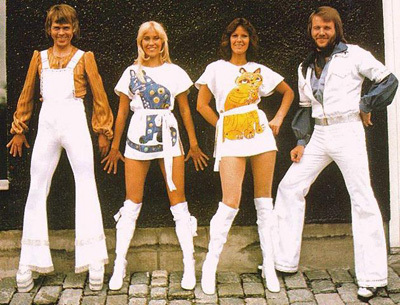 0 - 1 correct answer: you don't like Swedes, do you? Video from the 2011 Australian Boat Race. 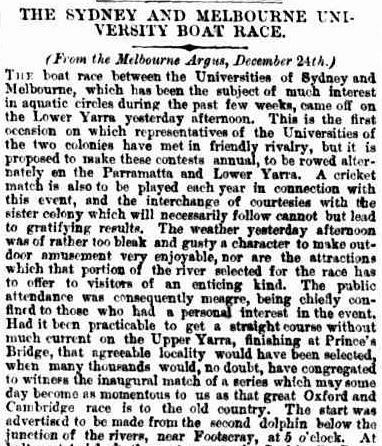 The Australian Boat Race is a one-on-one, Oxbridge style match race between the best women’s and men’s rowing eights from Sydney and Melbourne universities. Held annually, the venue alternates between the Yarra River, in the heart of Melbourne, and Sydney Harbour. It encapsulates the long-standing rivalry between two great cities and two great universities. The Australian Boat Race is a unique event in rowing and in sport in Australia. Long distance match racing has been absent from competitive rowing in Australia for many years. The popularity of the Oxford-Cambridge Boat Race and the Yale-Harvard Boat Race highlight the untapped opportunity in Australia in the sport of rowing. There is always a great interest in a head to head contest in sport between two universities, two cities and two states that have enjoyed a long and natural rivalry. Normally, the two competes in stakes of fashion, food or culture. Now we have rowing to argue who is the best. Sydney and Melbourne universities are Australia’s oldest and best-known universities. Their rowing clubs were founded in 1859 and 1860, respectively, and are currently the two most successful rowing clubs in Australia, together contributing 18 athletes to the recent London Olympic rowing team. 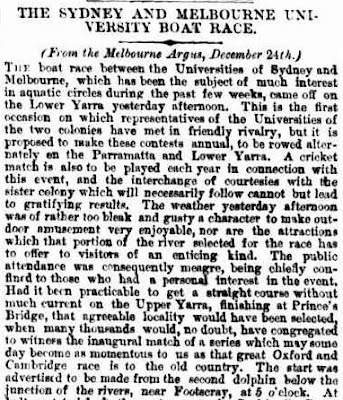 The two universities first raced each other in four-oar, fixed-seat, string-test gigs in a head-to-head challenge in December 1870, with Melbourne winning the race held on the Yarra River easily, in a time of 31 mins 4 secs. Among the Sydney team in two-seat was a young Edmund Barton, who went on to become Australia’s first prime minister in 1901. 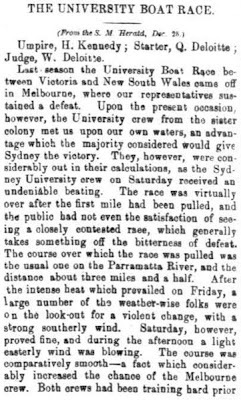 In 1871, the Melbourne crew again won the 5.6 km race, by 3 lengths in a time of 27 mins 55 secs. 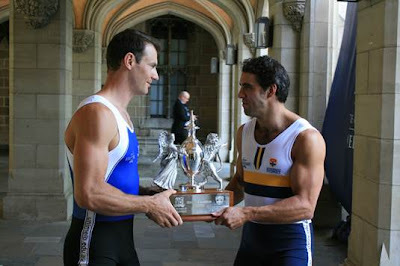 The event was revived in 2010 when Sydney University Men’s Eight won on home waters in Sydney Harbour. In 2011, the 4.2 km race rated right up there with the world’s best, with a winning margin of just ”two inches” to Sydney. 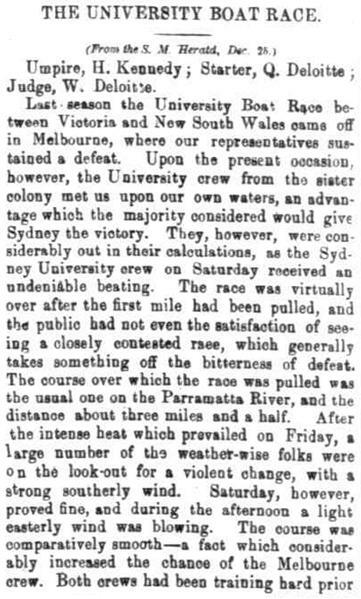 So Sydney has twice won the Edmund Barton Trophy for The Men’s Eight. On the other hand, for the past two years, Melbourne has taken the Bella Guerin Trophy for The Women’s Eight. 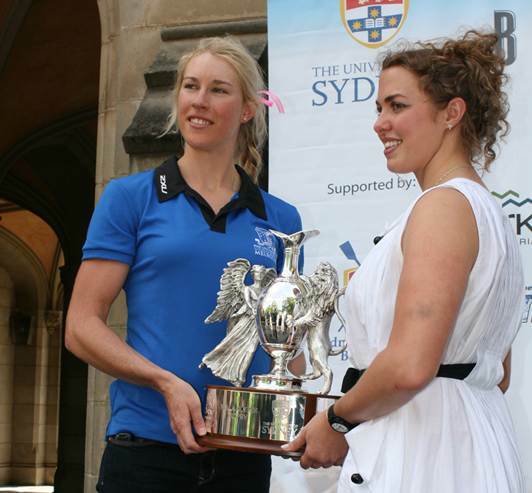 By the way, Kim Crow (pictured above on left) recently won bronze in the women’s single scull Olympic final, just a day after collecting silver in the women’s double scull with Brooke Pratley. This year's race will feature an incredible eight Olympians, seven of whom rowed for Australia at the recent London 2012 Olympic Games. Sydney University’s Francis Hegerty (2008, 2012), Fergus Pragnell (2008), Bronwen Watson (2012) and Monique Heinke (2008) have all been to Olympic Games. While for Melbourne University’s James Marburg (2008, 2012), Cam McKenzie McHarg (2008, 2012), Josh Booth (2012) and Phoebe Stanley (2012) also competed at various Olympic Games. On Sunday, 4 November, 2012, the race returns to Sydney Harbour, racing from Woolwich to Darling Harbour. 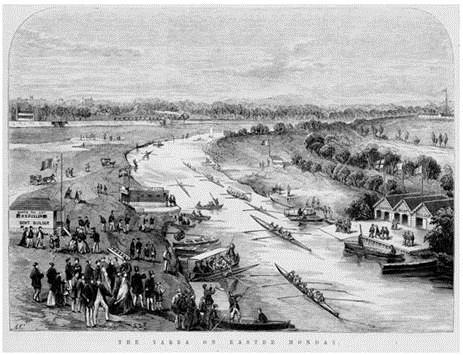 The two race courses are indeed very different courses, with the Melbourne race being held on the Yarra River, which is notorious for its many bends. The race starts at Victoria docks and finishes 4.2 kilometers upstream, by Federation Square. In the 2011 race, the challenging Melbourne course saw the Men’s oars overlapping as the Sydney cox to advantage of the twists and turns to push the Melbourne boat towards the river bank nearing one bend. Sydney Harbour, on the other hand, is a relatively straight course but the water can get choppy so it is expected the race will still be quite a challenge. See also Louis's earlier post. For daylight. Darkness conveted all. Of the prison of night. To be one with the river. Cutting the water into tiny scallops. Day. The rowed in unison. He was truly working for the World. 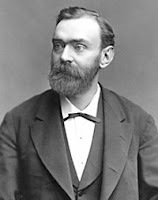 Many Swedes believe that he was murdered. 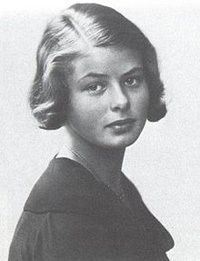 During her day, she was probably the world's most famous Swede. She even got a vessel named after her. There are many good stories about this man in my Swedish home town of Malmö. Nowdays, he is playing for a French club. 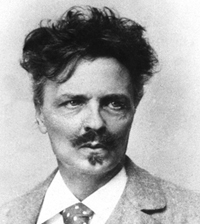 He is one of the Swedish authors who actully should have received the Nobel Prize for Literature. 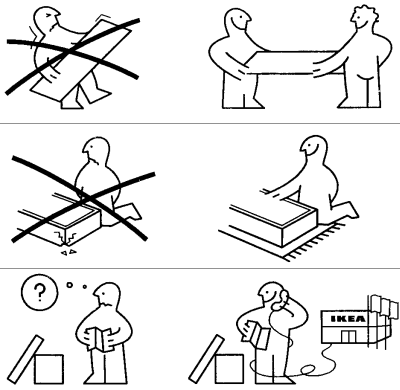 This must be the most famous fictional Swedish person in the world. 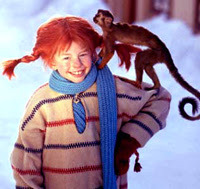 You get extra points if you know her monkey's Swedish name! 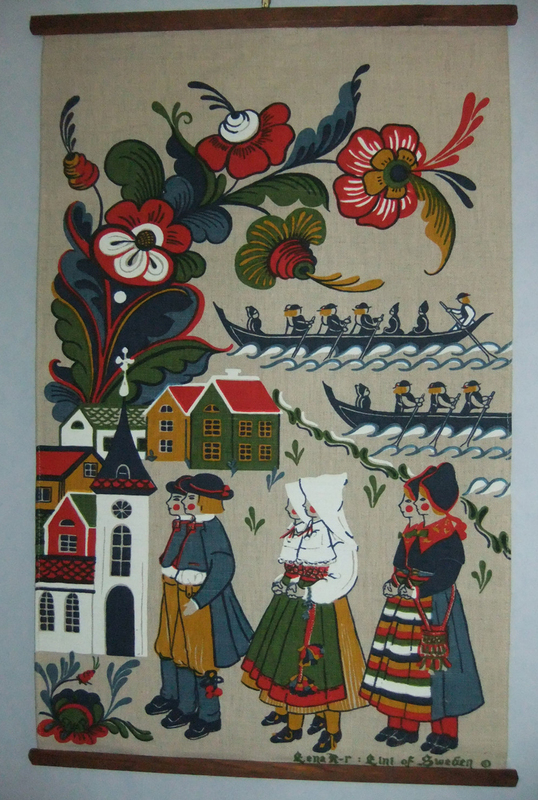 The Swedes are getting ready to celebrate this countryman of theirs, which they do every year on 10 December. This beautiful young lady has moved to New York like some other famous Swedes. But sometimes her father needs her in Stockholm. 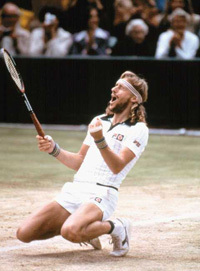 After a couple of international victories in grand competitions, every child in Sweden wanted to play tennis. Today, I am off to Sweden for almost two weeks. To 'entertain' you HTBS readers, I will post some Famous Swedes, one person (or group) every day. Maybe you can guess who they are? There will be fourteen of them - all non-rowers, by the way. And for your information: I will have limited access to my e-mail account, so please do not expect a quick reply if you should send me an e-mail. HTBS will resume its rowing history content on 25 October. 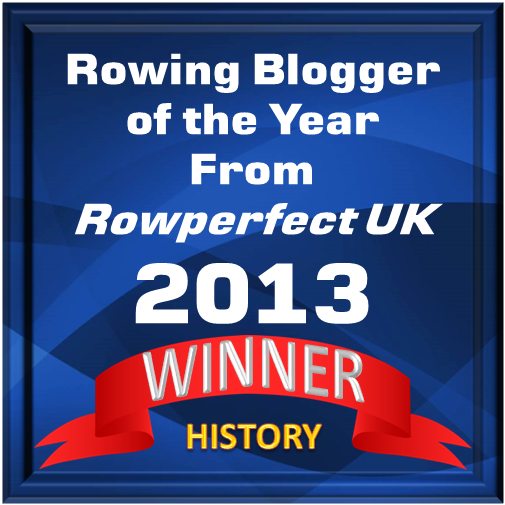 HTBS has written about the Red Bull XRow before. The 2012 race was rowed on 6 October from Zug to Lucerne. Switzerland defending its title from last year, hard pressed by two German teams. There was also a race for women, but only one crew from the Netherlands started. It is said that there was also to be a Junior category, but there are no news about competitors and/or winners. Read more here. 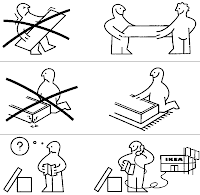 I am off to Sweden on Wednesday, so it might be a little odd that I suddenly started to clean my little office, "The Rowing Room" as it is called by the family. Nevertheless, in an old envelope I found some photographs from a rowing race from, I think, 1937. The photographer George Bushell, Henley-on-Thames, had sent the Secretary of Clapton Warwick Rowing Club some picture from a, to me unknown, regatta. On the back of the photograph it says: "Event 2 D, 5th Heat Senior fours. Clapton Warwick - over Britannia R.C". Four years ago, a group of women masters rowers launching their boats from a small beach at the bottom of an arena in Marina Del Ray, California, felt that there was a need to bring rowing to girls from the underserved neighborhoods of Los Angeles. So they started RowLA and the other day, USRowing announced that the program that now teaches the sport to more than 100 Los Angeles-area teens and assists them with school and college applications has been named the 2012 Anita DeFrantz Award recipient. Introduced last year, the award is given annually to honor leaders in diversity and inclusion. The award will be presented at the Golden Oars Awards Dinner on Wednesday, November 14, at the New York Athletic Club in New York City. “We are thrilled, really thrilled to receive the award,” said Liz Greenberger, who along with Erin Berman and Debra Shaw founded and now direct the program. “We had felt for a number of years that Los Angeles needed to open up rowing to the community at large and to girls from underserved neighborhoods who had fewer sports to chose from and fewer resources in their school’s athletic budgets. We felt we had the resources to pull this together and to make it happen. 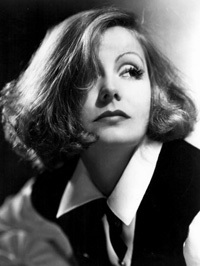 We’re thrilled that it is happening and it is very nice to have all of our hard work honored in this way,” she said. The girls are taught how to row and when they are not on the water, they are provided academic support, college counseling and nutrition awareness sessions. RowLA girls race in regattas, visit college campuses and give back to the community by teaching rowing at the Los Angeles Junior Blind Olympics. “We bring our ergs to middle and high schools in Los Angeles and our free summer camps bring in well over 125 youngsters,” Greenberger said. “The RowLA competitive team is comprised of minority students and there are six seniors now being recruited to college crew teams from Seattle to Boston, and they stay in close touch with our first graduate who attends Smith College on a full scholarship,” she said. 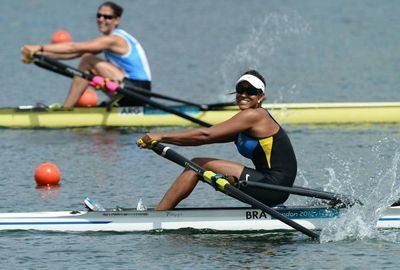 The award is named in honor of Anita DeFrantz, who won a bronze medal rowing in the U.S. women’s eight in the 1976 Olympics, the first time women rowers were allowed to compete. DeFrantz was captain of the U.S. rowing team. She has been, and continues to be, a leader and advocate for women’s inclusion in sport. 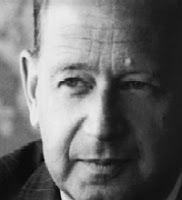 In 1986, the International Olympic Committee appointed DeFrantz to lifetime membership. She was the fifth woman to ever hold a seat on the IOC and is both the first African-American and the first American woman to serve on the committee. She became the first female vice-president of the IOC executive committee in 1997. DeFrantz led an unsuccessful effort to overturn the 1980 Olympic boycott but was appointed vice president of the 1984 Los Angeles Games Organizing Committee and helped convince 43 African nations not to boycott the games after South African runner Zola Budd was allowed to compete for Great Britain. As a member of the IOC, DeFrantz was instrumental in getting women’s soccer and softball added as medal sports in time for the 1996 Olympic Games in Atlanta. She also serves as vice president for FISA, the international governing body for rowing. USRowing recognizes individuals and organizations for their contributions and achievements in the sport in 14 categories. To read more about these categories and to get information about the Golden Oars Awards Dinner, please click here. 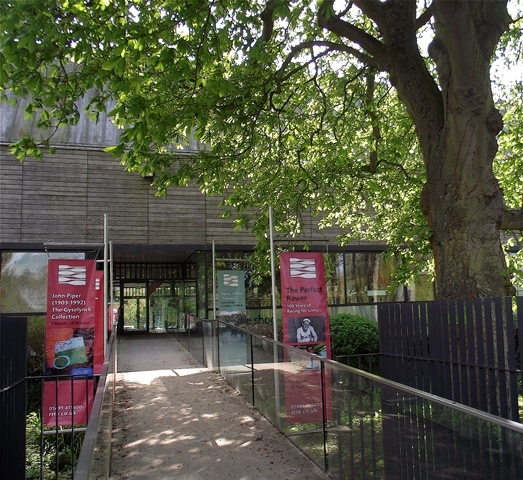 The Museum has nearly 20,000 objects in its collection. They include 5,000 photographs, 400 posters, and 650 trophies and medals. 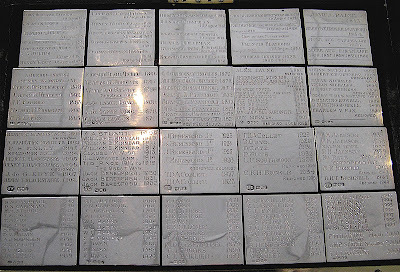 Many items can be seen in our permanent galleries but many are currently in storage. Fortunately, logging onto www.rrm.co.uk can go a long way to overcoming these geographical and display problems as much of the museum’s collection can be viewed online. 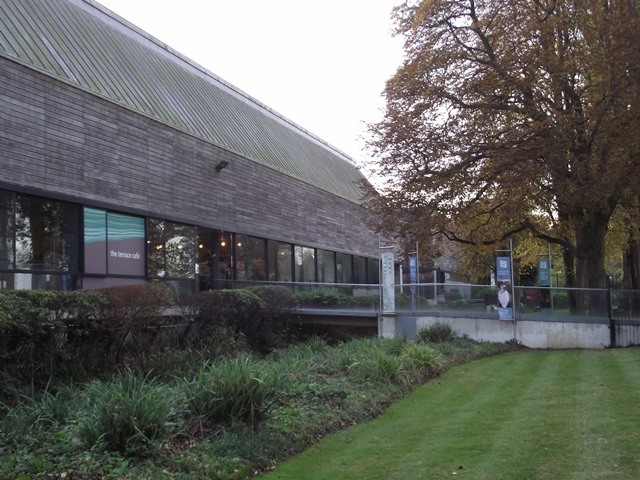 In the ‘Explore the Collection’ section of the website you can either use the ‘keyword search’ for a specific interest or you can click on one of the ‘group collections’ covering subjects such as rowing, art, the river, medals and trophies, and photographs. Hopefully this ‘virtual tour’ will inspire even more people to make the journey to see the real thing.